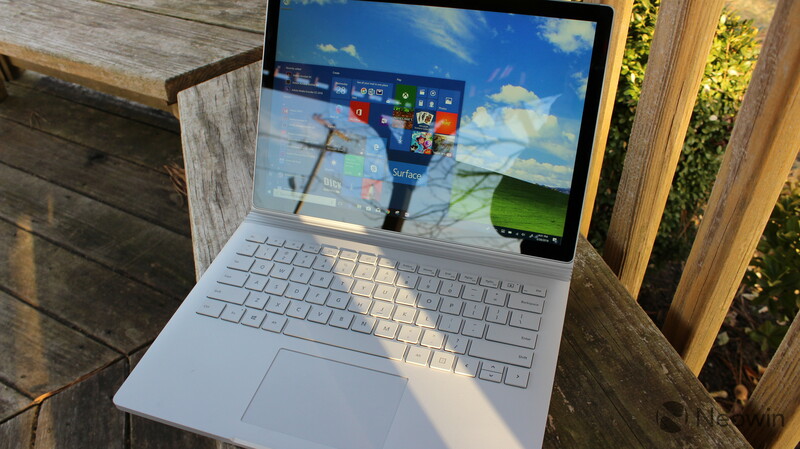 Back in October, Microsoft surprised everyone by announcing the Surface Book 2. 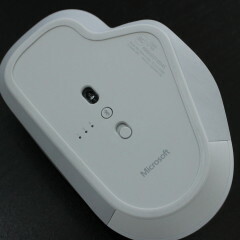 In fact, it was the first Surface product to be announced via a press release, rather than at an event. But in addition, it's probably the most exciting Surface of the year. 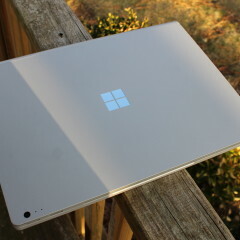 After all, the Surface Laptop is, well, a laptop, and the new Surface Pro is an iteration on previous models. The Surface Book 2 came with a new 15-inch model in tow, along with a more powerful CPU and GPU. The old sixth-gen 'Skylake' chips were replaced with the quad-core, eighth-generation 'Kaby Lake R' processors. And along with the additional CPU power, the old mobile GPUs in the original Book were replaced by an Nvidia GeForce GTX 1050, and a GTX 1060 for the 15-inch model. 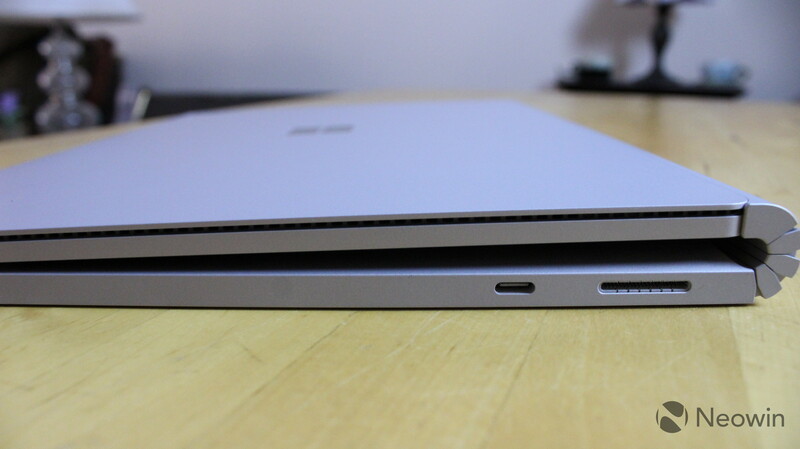 But perhaps most importantly, the Surface Book 2 finally includes a USB Type-C port, as Microsoft is one of the last OEMs to adopt the standard. We'll talk more about the implementation later, but the important thing is that it's there. Here's our review of the 13.5-inch Surface Book 2. The specs above are for the model that Microsoft sent me. It's the top of the line 13.5-inch model, and to be perfectly clear, the 13.5-inch Surface Book 2 starts at $1,199. 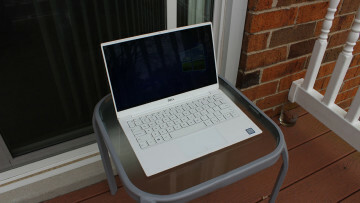 For this price, you get a Core i5, 8GB RAM, and 128GB of storage. There's also no dedicated GPU on the Core i5 models, and the CPU is seventh-generation, which is dual-core. The lowest priced Core i7 model comes with 8GB RAM and 256GB storage, for $1,999. The 15-inch Surface Book 2 starts at $2,499, but it only comes in a Core i7 flavor, which obviously includes the Nvidia GeForce GTX 1060 GPU. That GTX 1060 has 6GB graphics memory, so it's a fair bit more powerful than the 1050 that's in the 13.5-inch model. I found it to be a bit disappointing that Microsoft doesn't bundle the Surface Pen with new Surface devices anymore, but it is what it is. For a PC that's so expensive and since pen features are touted by Microsoft, you'd think that they'd put one in the box. 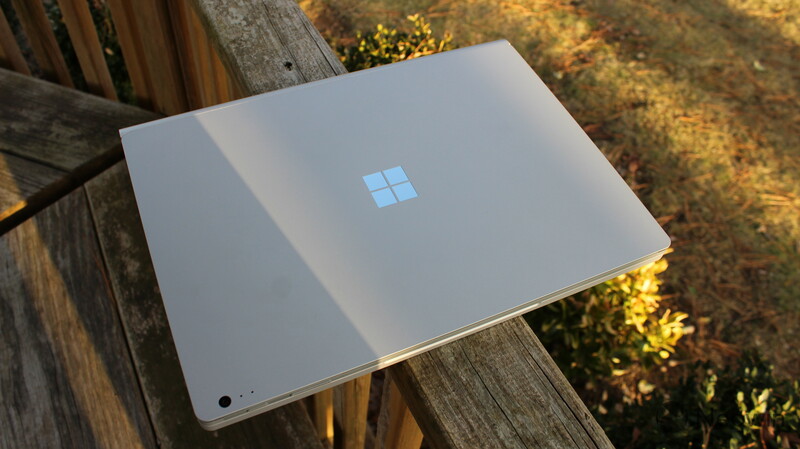 Like the original Surface Book and Surface Pros before it, the Surface Book 2 is made out of magnesium. There are pros and cons to this. The Surface Laptop is actually made of aluminum, which is why it can be made in additional colors. Aluminum, however, is heavier than magnesium. As much as I'd love to see the Surface Book 2 in Burgundy and Cobalt Blue, I do love the feel of the magnesium. It gives the device a smooth, solid feel. 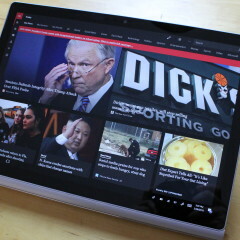 Microsoft says that the entire machine is made from a single block of magnesium, and that's why the base and the display aren't sold separately. So no, you can't buy the Core i5 model without the dedicated GPU and hope to buy a new base later. 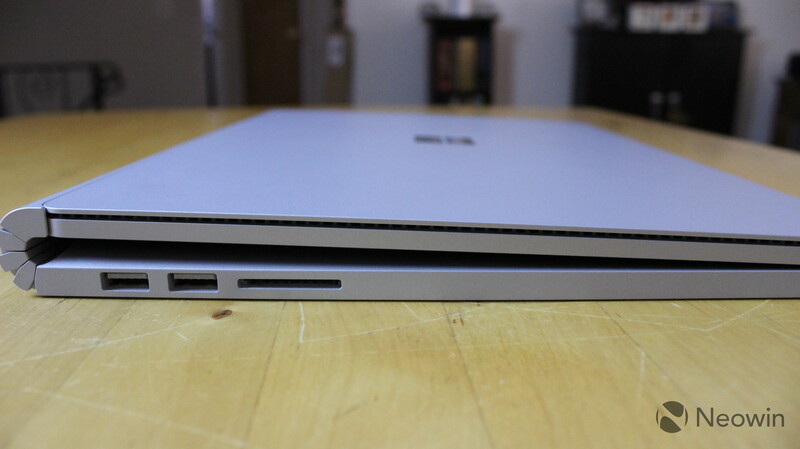 Also, tabs on the base are shaped differently from the original Surface Book, so those aren't compatible either. 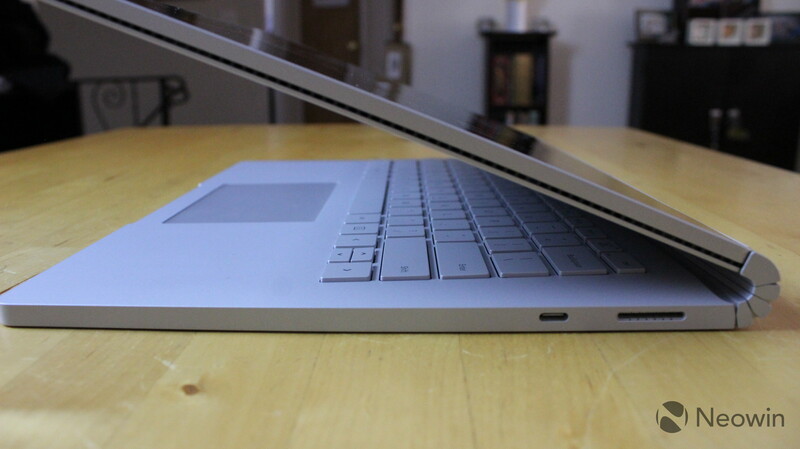 For me, the hinge is a pain point with the Surface Book. It's not the gap that bothers me, but just the fact that it makes the device so thick. I'm a rare use case though, as I have multiple laptops with me at all times. The problem with having a device that's so thick is that it means I can't fit as many laptops in my bag. I don't think that this is a problem for most, but it's certainly worth noting. With the combined width of the base and the clipboard, it shouldn't be nearly as thick as it actually is. As usual, I take issue with Microsoft's implementation of ports. 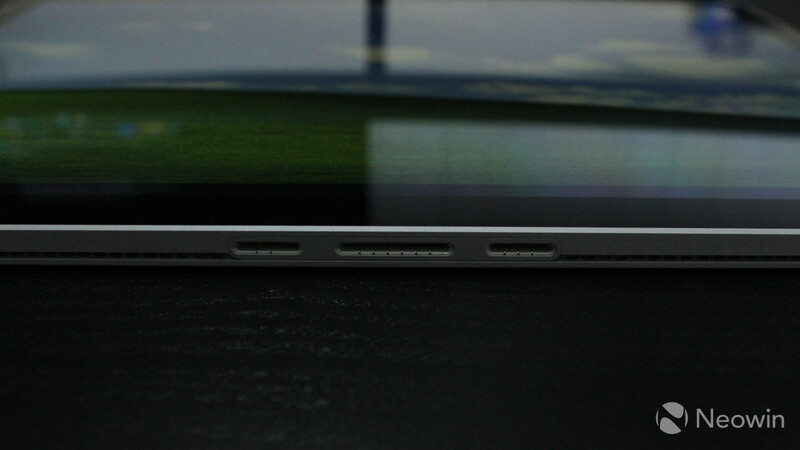 On the right side of the device, you'll find the Surface Connect port, as well as a USB Type-C port. Both are USB 3.1 Gen 1, meaning that they max out at 5Gbps and they include a DisplayPort lane. 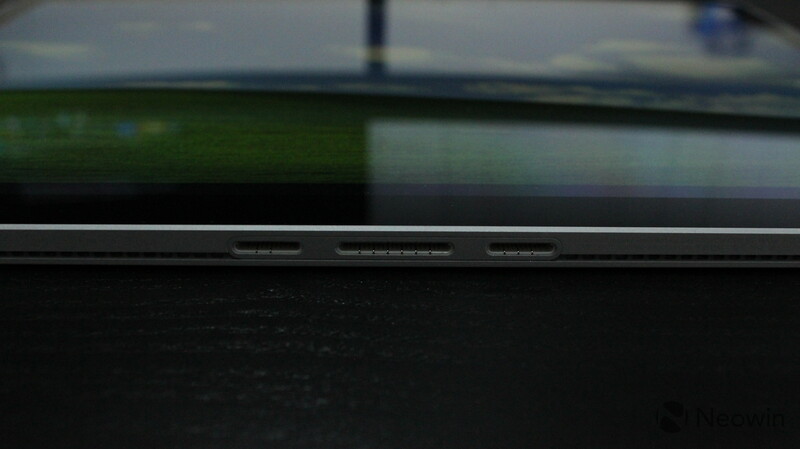 On the left, you'll find a full-size SDXC reader, and two additional USB 3.1 Gen 1 Type-A ports. And then there's the clipboard, which is the detachable display. 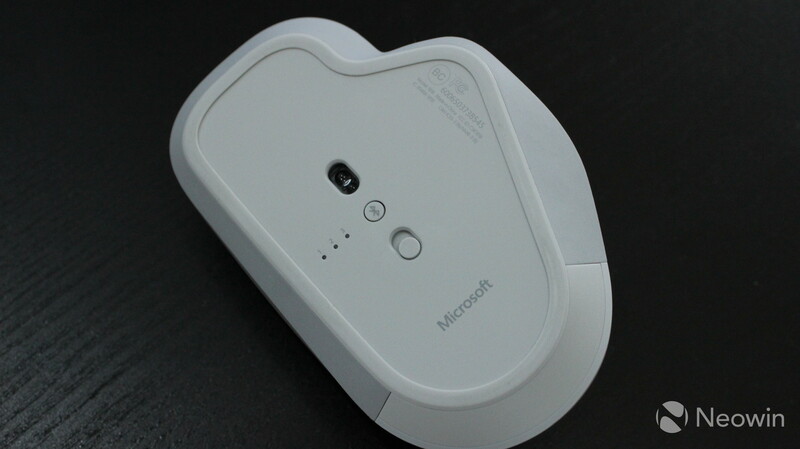 On the top-right is the 3.5mm audio input/output jack, which is frankly the worst possible place that Microsoft could put it. The wire constantly gets in the way when using the device as a laptop. It could have been placed on the bottom right, or in the base. Finally, there's an additional Surface Connect port in the bottom of the clipboard, which is how it connects to the base. You can charge the display this way, which is useful, and you should be able to connect a Surface Dock if you want. But moving back to the headphone jack, it just doesn't make sense. 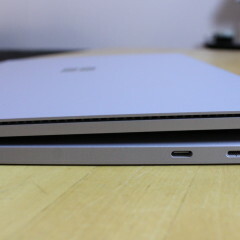 The Surface Book 2 is clearly designed around the idea of being a laptop, with all USB ports and the SD card reader in the base, so it's strange that the 3.5mm headphone jack is designed around being a tablet. And that brings me to my next issue, albeit a more minor one. Why not put USB ports in the clipboard? Similar to the Surface Pro, the clipboard could include a USB Type-A port and some others if Microsoft wanted to design it that way. And there's no reason that the base couldn't handle more ports. The base is pretty much a GPU and a battery, so if Microsoft wanted to, it could include other things like additional USB ports, HDMI, and so on. Again, aside from the ridiculous placement of the headphone jack, the rest of the issues are minor. I just feel like Microsoft could do more with this form factor, but the current configuration is just fine, and I appreciate that there are two USB Type-A ports. 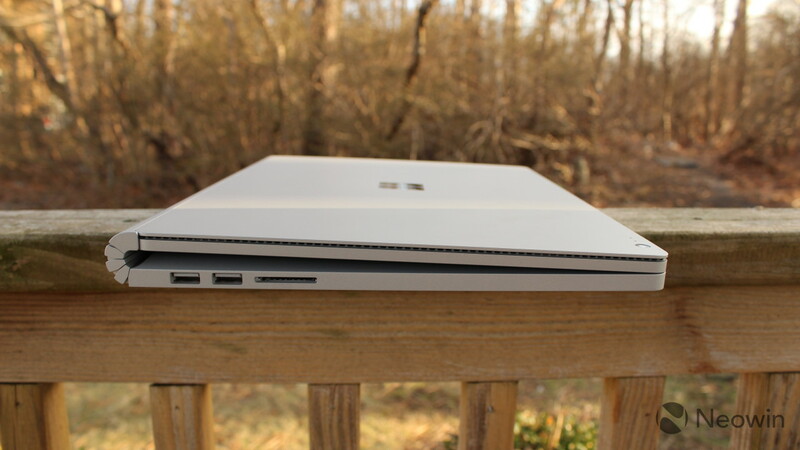 All of the above aside, let's talk about the general form factor of the Surface Book 2. 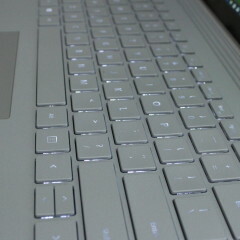 It's a laptop, but when you press a button on the keyboard or on the screen, the display detaches to give you a tablet. 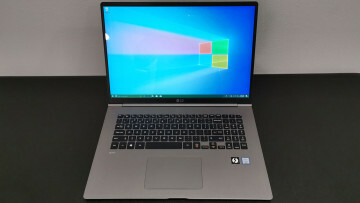 This is a form factor that has not yet been imitated across the rest of the Windows 10 device market, other than one by Porsche Design, the Book One. Windows 10 devices come in a variety of form factors. You'll find three different types of 2-in-1s on the market. Convertibles, such as the Lenovo ThinkPad X1 Yoga, allow you to fold the screen all the way back. 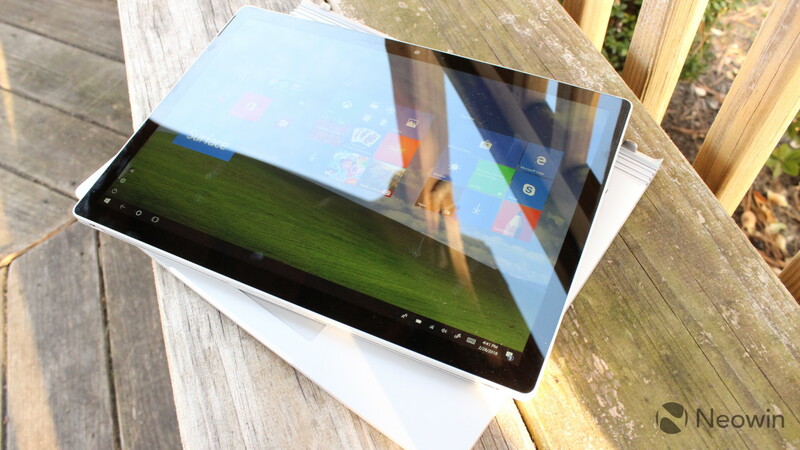 Then, you have tablets with attachable keyboards like the Surface Pro, and finally, there are detachables like the Surface Book. 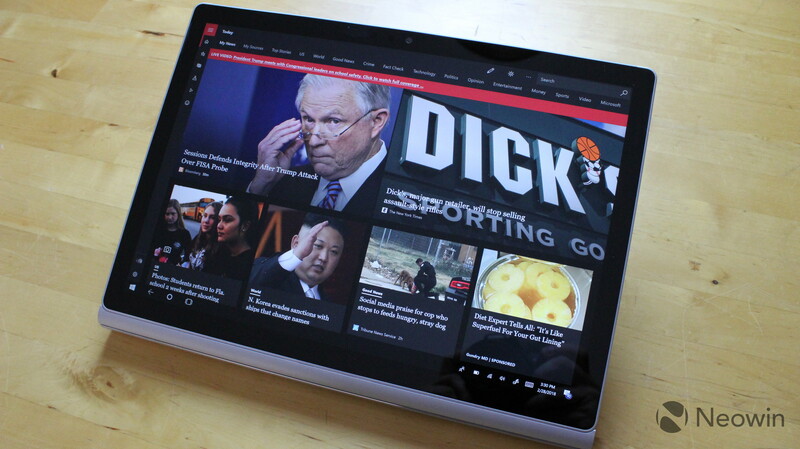 The difference between a Surface Pro and a Surface Book is that the Book is significantly more powerful, and you get a sturdier base, meaning that it's easier to use on your lap. 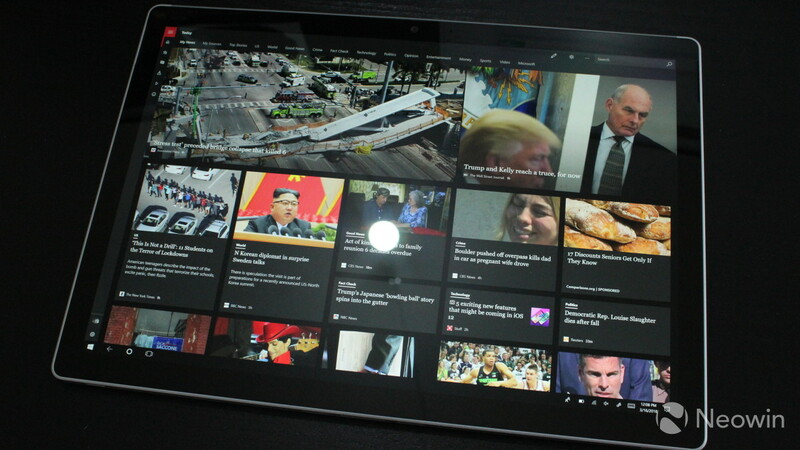 Look at it this way; if you're looking for a tablet that you can use as a laptop, go for the Pro. If you're looking for a laptop that you can use as a tablet, go for the Book. 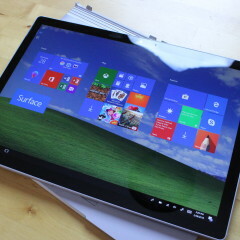 Personally, this is my favorite Surface form factor. I do appreciate a tablet form factor from time to time, such as for taking handwritten notes and signing documents, but I also need it to be a proper laptop most of the time. The screen on the device that I received is a 13.5-inch 3000x2000 PixelSense LCD. 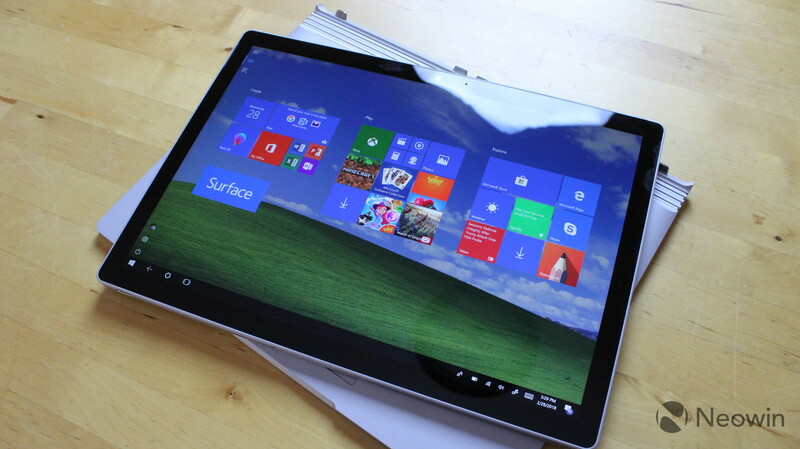 As Microsoft has done since the Surface Pro 3, it has a 3:2 aspect ratio, making it a bit taller than the wider 16:9. Personally, I prefer 16:9 since you get a bit more real estate when snapping apps side-by-side, but there's definitely a benefit to 3:2 when using it as a tablet. Microsoft has been using high-quality displays in Surface products for some time, so it should come as no surprise that this is no different. The resolution is the same as the one on the original Surface Book, which is fine given that there's no pixelation to see at 267ppi. The 15-inch model is a little higher at 3240x2160, although that has a lower pixel density at 260ppi. 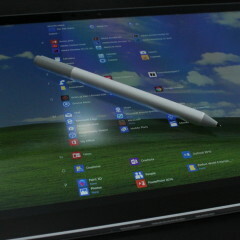 As usual, the screen supports 10-point multitouch and N-Trig pens. It also includes the jiggery pokery that was in the new Surface Pro to decrease the latency of the Surface Pen, but we'll come back to peripherals later on. You can skip over this section if you'd like, since it's admittedly pretty boring. The keyboard is important to me though, being that I write articles for a living. 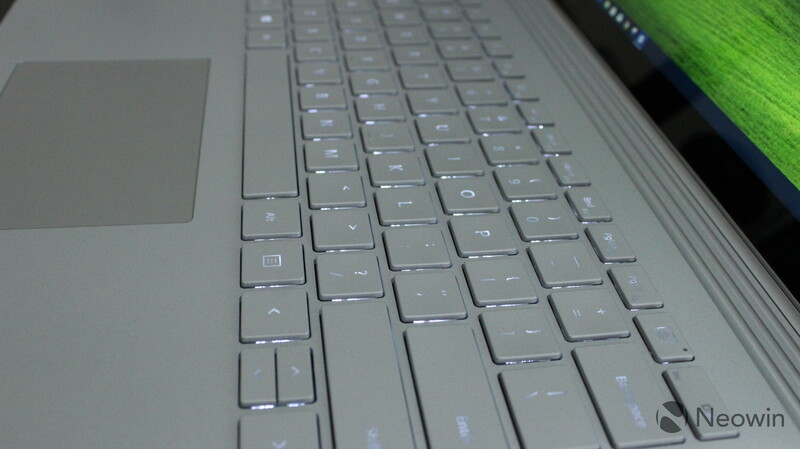 I think it's fair to say that the Surface Book lineup has the best keyboard of any Surface product. 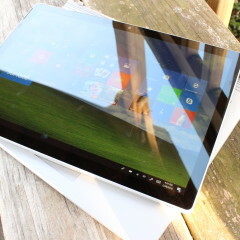 It's really comfortable to type on, unlike a Surface Pro Type Cover which can rattle a bit when you use it. The Surface Laptop is nice, but the keys feel a bit too plasticky for me. The one thing that I don't like is how the backlighting works. If I press the key to turn on the keyboard backlight, it times out after a few seconds. Unlike with other devices, there are no settings to keep this light on all of the time. Another thing that I'd kind of like to see is the ability to use the keyboard without it being attached to the screen. A Bluetooth radio could solve this. I don't think that this would be a common use case, given that the clipboard doesn't have a kickstand like the Surface Pro does, but it would be nice for it to be there when needed, sort of like pen support on the Surface Laptop. 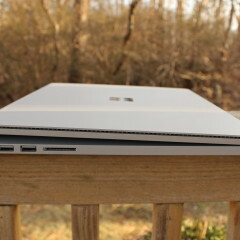 All-in-all, the Surface Book has five USB 3.1 Gen 1 ports, including a Surface Connect port in the clipboard, and in the base, two USB Type-A ports, one USB Type-C, and another Surface Connect. 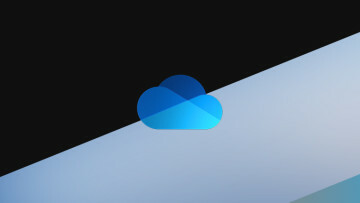 When the base is connected to the clipboard, the clipboard's Surface Connect port is what connects it. 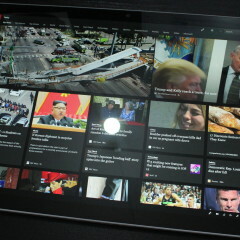 Microsoft first began using the modern Surface Connect port with the Surface Pro 3, and that's what every portable Surface device has used since then. Microsoft has made a variety of peripherals for its proprietary USB 3.1 Gen 1 port, and that's one of the reasons that it keeps Surface Connect around. There's only one problem, and that's that every other premium mobile PC on the market has ditched its company's proprietary charger in favor of USB Type-C, or more specifically, Thunderbolt 3. Thunderbolt 3 supports data transfer speeds of up to 40Gbps, and can power up to two 4K monitors or a single 5K display. Microsoft decided to stick with USB 3.1 Gen 1 in its Type-C port, so while the Surface Book 2 is the first Surface to deliver support for the new standard and form factor, it still maxes out at 5Gbps. There is a DisplayPort lane, so you can still power a 4K monitor, but the port's functionality is somewhat limited. I asked Microsoft if it left out Thunderbolt because it didn't want the USB Type-C port to outshine the Surface Connect port. I was given a hard 'no' on this, although there could be some technical limitations. Along with Surface Connect, there are a couple of other ports that connect it to the base, and it's not clear if the 40Gbps transfer speed through the base would be bottlenecked when reaching the CPU, storage, and RAM that's in the clipboard. And then there's charging. You might have heard that the 15-inch Surface Book has some issues charging when running at full power. The solution would probably just be to find a USB Type-C charger at a higher wattage, right? Not quite. 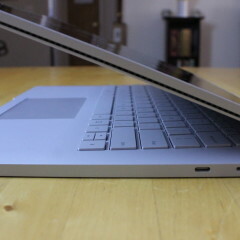 The USB Type-C port doesn't power the device as quickly as the Surface Connect port does. If you plug in a USB Type-C charger, it will tell you that the device is charging slowly. In my experience, this is generally fine for every day use, but you'll get a faster charge from the included Surface Connect cable. I was really disappointed when I realized that the Surface Book 2 doesn't come with a Surface Pen. I knew they weren't shipping with the Pro anymore, but for some reason, I thought that a three thousand dollar laptop would come with all of the bells and whistles. It's not that I'm a huge pen user, but I wanted the full experience when reviewing the device. So naturally, I reached out to Microsoft and I requested a Surface Pen and a Surface Precision Mouse. And to be clear, this is my fourth Surface Pen, and all of the ones I have are different iterations. The first is the old Wacom one that came with the first Surface Pro. 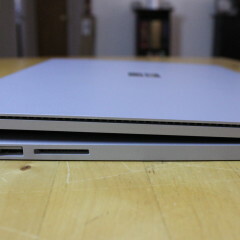 The second was the first N-Trig Surface Pen that shipped with the Pro 3, and the third came with last year's Surface Book. The big change with that one was that it attached to the device magnetically. 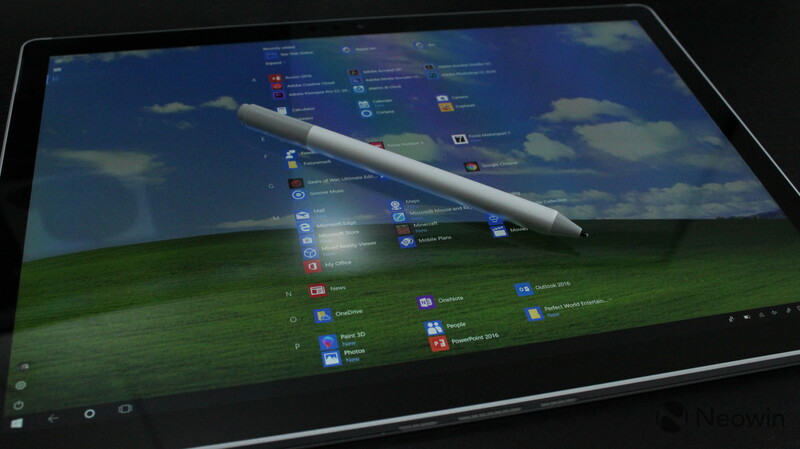 This year's Surface Pen offers reduced latency at 21ms, and also supports tilting functionality. I can tell you that immediately upon use, I could feel the difference in latency. Most of the time, I'll use pens for taking handwritten notes, as I never use a pen and paper unless I absolutely have to. Personally, I think that if you buy a Surface Book 2, you need to buy the Surface Pen. It makes up a huge part of the tablet experience. You can use it to draw on photos, sign PDFs in Edge, draw routes in Maps, leave reminders in Sticky Notes, take handwritten notes in OneNote, draw in Ink Workspace, and more. You can also write in the onscreen keyboard instead of typing, and that's translated into printed text. And if none of the Windows Ink features sound appealing to you, then you probably shouldn't be looking at a Surface Book 2. It's not that the Book 2 isn't an all-around great machine, but it's more than a good deal of what you're paying for is the ability to detach the display and use it as a tablet. If that's not what you want, then check out the Surface Laptop. If you need the additional power of the dedicated GPU, then there are plenty of options from Microsoft's partners across the board. Is it a must for the Surface Book 2 like the Pen is? Probably not, but you should still totally buy one. It's not exactly critical to the experience, but it's definitely one of the best and most comfortable mice that I've ever used. Normally, I use a Microsoft Sculpt Mouse, as I've always found it to be comfortable. 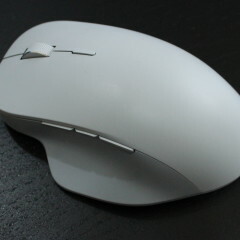 I do have a ton of mice though, and have tested various units that have come with desktop and gaming PCs. The Sculpt Mouse that I use comes with a USB dongle, because I really, really hate Bluetooth peripherals. I can make an exception for the Precision Mouse though, on account of the awesomeness. It helps, however, that there's a wired option if the Bluetooth connection makes me want to throw it out of the window. First of all, the Surface Precision Mouse is really comfortable. 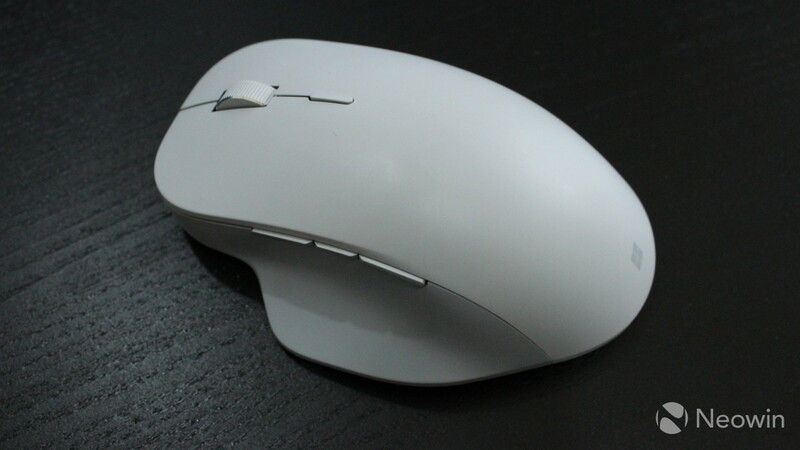 The ergonomic side grips are soft, and the buttons are made from machined aluminum. 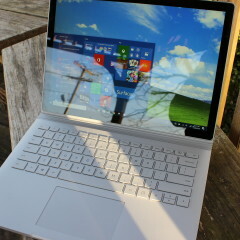 But the coolest thing is that you can seamlessly switch between different PCs. The Surface Precision Mouse can be paired with up to three different machines, and you can have one connected via USB. Using the Microsoft Mouse and Keyboard Center, you can set it up so that when you drag the cursor to the side of one PC, it automatically pairs with the one next to it. 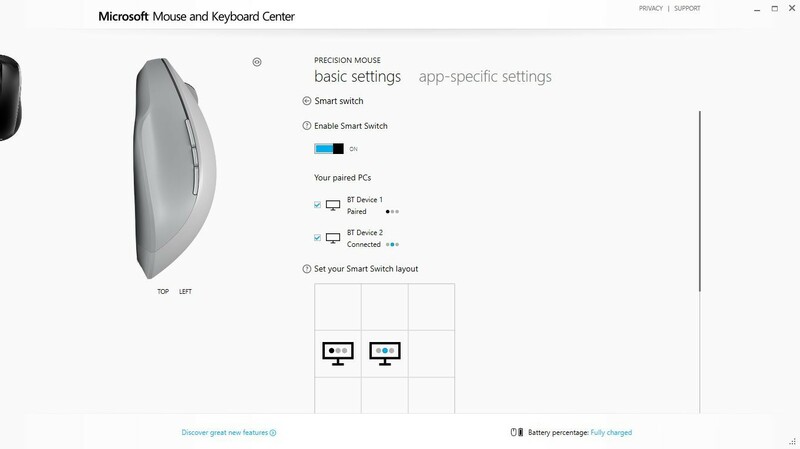 Setting it up is similar to setting up multiple monitors for one device, in choosing which one goes where, and which side will go to which PC. 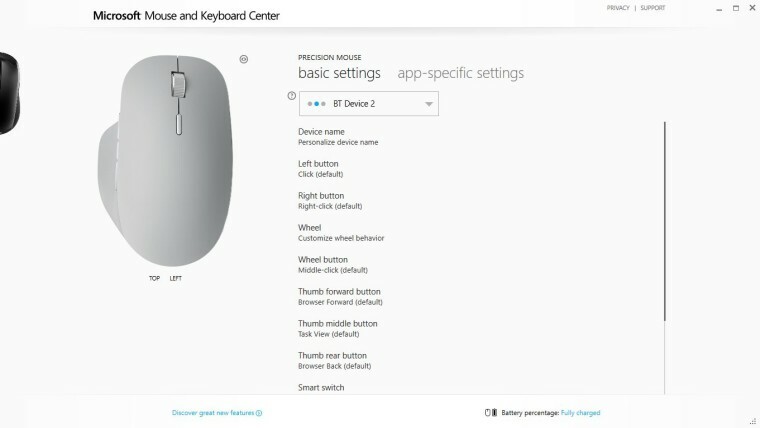 There are three customizable buttons on the left side of the mouse. By default, those are set to be back and forward buttons, and one for bringing up Task View. Clicking the track wheel is the fourth customizable button, and you can program these to be macros, key combinations, and more. Also, you can create different profiles for each PC that it's paired with, and even for when you're using specific applications. The only hitch to these wonderful features is that they all require the Microsoft Mouse and Keyboard Center app, which the company notes isn't available for Windows 10 S or macOS. It's probably safe to say that it's not on lesser known operating systems either. So while the mouse is branded as Surface, it won't work so well with a Surface Laptop unless you upgrade it to Windows 10 Pro. You can, however, manually switch between the devices that it's paired with by pressing the Bluetooth button on the bottom of the mouse. If you're even reading this section because you care about performance, you should overlook the Core i5 model. Intel's U-series chips - which are what you'll typically find in an ultrabook or convertible - have historically been dual-core. For the past few years, Intel has focused on efficiency, but with the eighth generation, the company focused on power and made them quad-core, offering around a 30% boost depending on your work load. 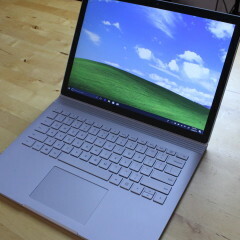 The Core i5 model of the 13.5-inch Surface Book 2 is seventh-generation, and therefore dual-core. The Core i7 is eighth-gen and quad-core, and those are the chips that you'll find in pretty much any premium laptop released since last fall. The i7 models also come with the Nvidia GeForce GTX 1050 GPU, whereas the i5 model does not. But if you really want the power, you'll want the 15-inch Surface Book 2. Those only come in a Core i7 flavor at the moment, but rather than a GTX 1050 with 2GB graphics RAM, it has an Nvidia GeForce GTX 1060 with 6GB graphics RAM. The model I was sent to review includes a Core i7, 16GB RAM, 1TB SSD, and the Nvidia GeForce GTX 1050. It's certainly one of the most powerful 2-in-1s out there, and it's a massive improvement from the original Surface Book. My normal work flow includes having apps like Google Chrome, OneNote, Skype, and Slack open all of the time. Then there's occasional Photoshop use, and of course, Premiere Pro. For regular use, I didn't run into trouble, but I was able to push the Book 2 to its limits. The PC really began to struggle when I was rendering video in Adobe Media Encoder, editing more video in Premiere Pro, and had background tasks going like playing music. The video being edited and rendered were both 1080p 60fps. But in every case where I wasn't actually trying to push the Surface Book 2 to its limits, I had no problem with performance at all. For benchmarks, I used PCMark 8, which offers three tests: Home, Creative, and Work. First up is Home, which checks regular tasks like video chat, web browsing, casual gaming, and so on. As you can see, the Surface Book 2 only performed better than 40% of other devices, which isn't that great, especially considering the hardware included. Next up is Creative, which checks more GPU-intensive tasks like video editing, photo editing, and more. Again, the Book 2 didn't perform to where I'd have expected it to with a quad-core Core i7 and an Nvidia GTX 1050. Finally, the Work test checks productivity-related tasks like writing, spreadsheets, and video chat. Overall, it seems like the Surface Book 2 should have scored better than it did on benchmarks. In real world usage though, it does quite well. 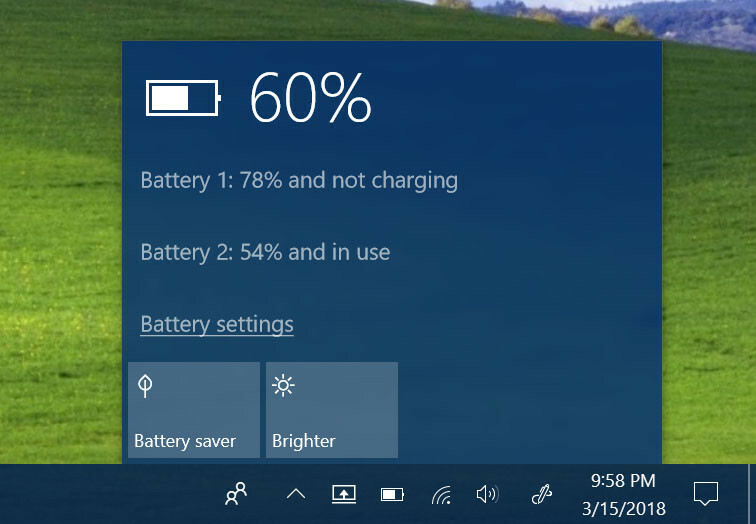 Microsoft cites the Surface Book 2 as able to get up to 17 hours of battery life, which seems nuts, but I believe it. When I test these things, I use them in real-world scenarios, so I will never see 17 hours. Maybe if you browse in Edge and only run UWP apps you can do that, but I use Chrome, which eats more battery life. First of all, you won't have trouble getting through a work day with the Book 2, and to me, that's the most important thing. I found it to consistently get closer to 12 hours though, rather than just eight hours for a work day. You really don't have to worry about bringing a charger with you with the Book 2. There's a catch to that last statement though. The Surface Book 2, like its predecessor, has two batteries. One is in the clipboard, and the other is in the base. That means that if you detach the screen from the base, you'll get significantly less battery life. As I said earlier though, you can charge it through the Surface Connect port, but if you only have USB Type-C with you, you'll have to do it through the base. My experience with using it as a tablet is that it can get about six hours of constant use, and maybe even a little more. 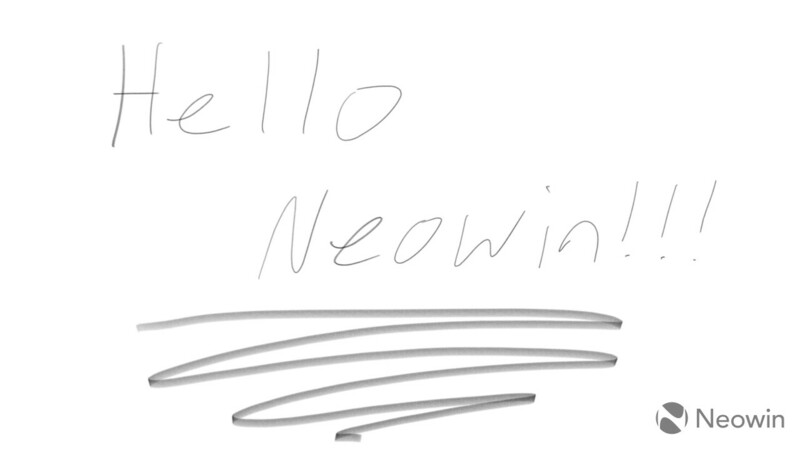 I sat through a presentation and took handwritten notes in OneNote, and looked things up in the Edge browser (Edge is much better on a tablet than Chrome). The good news is that if you're in a pinch and you want to use it as a tablet but the battery is low, you can just attach the display backward and fold it over. It's also worth noting that at some points, you simply won't be able to detach the display, mainly when it's using the GPU heavily. For example, I mentioned above that I was rendering and editing video at the same time. At that point, it would not allow me to detach the display. When I was sitting in that presentation, I detached the display to take handwritten notes and put the base on a table to the side. A few minutes later, the person next to me turned to me and asked, "What the %$&* happened to the rest of your computer?" It was glorious. Frankly, it's what every tech nerd wants to hear when they buy something that's as cool as this. 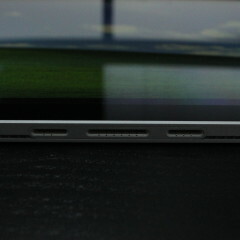 My biggest issue with the Book 2 is the placement of the 3.5mm headphone jack. It's on the top-right corner of the clipboard, so when using the device as a laptop, the wire is just sort of hanging there. It either gets in the way of the keyboard, or gets in the way of the mouse. My solution has been to tuck it underneath the keyboard. If I had this machine for a longer term, I'd probably just start using Bluetooth headphones instead. I also take issue with the USB Type-C port not being Thunderbolt 3, as that's what you find on every other premium device on the market. The more I think about it though, the more I think that it's going to take an engineering overhaul to get Thunderbolt 3 on a Surface Book. After all, not only does it have to accept 40Gbps through the base, but the connectors between the base and the clipboard would need to support that as well, and they currently don't. 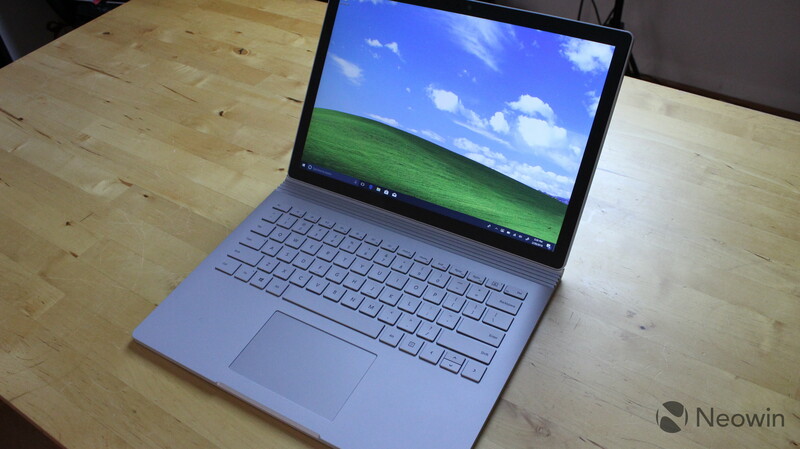 I do hope that I get the opportunity to review the 15-inch Surface Book 2, because I've enjoyed the 13.5-inch variant, and the 15-inch one should be that much better.